Hearthstone, Blizzard's new digital card game, isn't just addictive as hell—it's surprisingly funny, too. See, the very premise of Hearthstone is that the characters in the world of Warcraft have decided to take a break from murdering one another in order to play some cards. 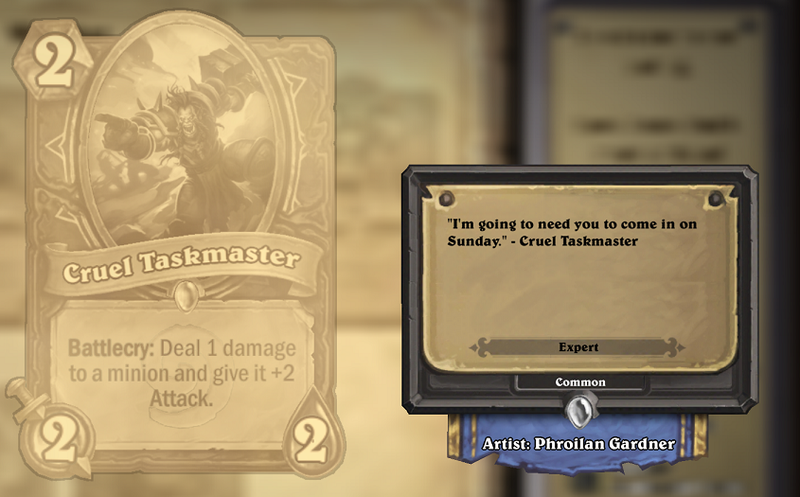 The main game is goofy and all, but you can find the best writing in the library, where every card has its own chunk of flavor text. Some are better than others, but they're all entertaining.